Marketing through the internet is no longer a wonder now but a reality, the benefits of which every big brand is capitalizing on. With relentless research to make technological progress a never-stoppable phenomena, online marketing endeavor is no longer limited to marketing via a regular website. The expandable concept of marketing brand and business over the internet has now exposed us to mobile websites. Most of us are more familiar with regular websites designed to fit a desktop or laptop. But the smallest version is made to be compatible with mobile screens. And let us now find out the reasons why beauticians and makeup artists should have a mobile website. Throughout the globe, the sale of the handsets has outsmarted that of computers by manifolds. In fact, the current ratio of mobile and computer sale is 4:1 and that proportion is going to be more in favor of the handsets. The figure and predictable reality make it clear that a mobile website will earn your business a far wider reach. Compared to traditional full-sized websites, mobile versions are still lagging in number and that means a larger share of the market is still beyond your reach. You can tap into the unexplored zone to expand your business of make-up and beauty salon. The concept of mobile websites is not a luxury to ignore but a necessity to admire and adopt. According to a study on consumers’ behavior, there is a sharp increase in the number of people using mobiles for internet surfing. With the arrival of more attractive and feature-dense handsets like Android, iPhone, etc, people are now getting more mobile prone to internet surfing. And it is not a trend to vanish in the near future, rather expected to continue. As per the type of your business is concerned, it will stand to receive more responses as becoming and staying beautiful is what everyone wishes. 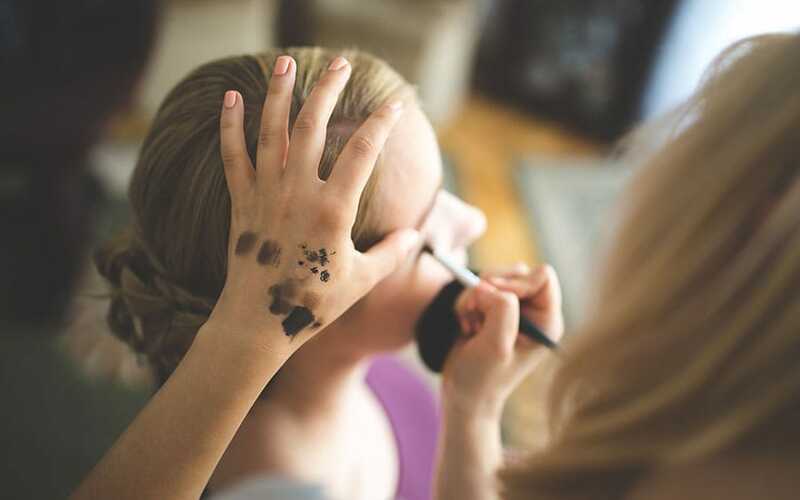 Both beauticians and make-up artists are high in demand. And their service is also required for bridal makeup and at film sets. Going with the mobile websites will give your name and business unexpected recognition leading to more customers and monetary return. Getting information while on the fly is of paramount importance for average citizens as well as businesses. Your target customers can retrieve information wherever they go without having to require opening laptops and connecting internet. The potential consumers can browse through your website and take decisions while on the go if to use your service or not. Availability of your website anytime and anywhere often tilt their decision in your favor and that sees a flourish in your business. Mobile-compatible websites come in the notice of more e-visitors. And more traffic always leads to more revenues for any business owner. If your website is available on mobiles, more people will get to know about it. Though all will not convert to loyal customers of your service a part of them will surely love to experience a touch of your skilled hand on the eve of an occasion or just to retain their beauty for long. Won’t it make your business gain more than what a regular website can do?